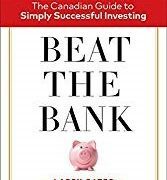 “…the majority of working Canadians – about 68 percent of the workforce – are currently pensionless.” – Pensionize Your Nest Egg. Regardless of what you think about any looming retirement crisis in Canada, the facts are, more and more Canadians are without a formal workplace pension plan. That doesn’t bode well for those individuals saving for retirement, and our broader taxpayer base. Will there be more Sears-like case studies in the future? Undoubtedly. That’s part of the reason why the authors of Pensionize Your Nest Egg want you to take matters into your own hands. I’ve had a copy of Pensionize Your Nest Egg in my personal finance library for a few years now – and I’m finally getting around to posting a review of this book. In the coming weeks, I hope to have one of the authors (Alexandra Macqueen) interviewed for my site to answer a bunch of questions about “pensionizing” your nest egg – answers about annuities and more you probably need to consider for your retirement plan at some point. For now, here are some great takeaways Pensionize Your Nest Egg – How to use product allocation to create a guaranteed income for life. The employer guarantees a certain benefit amount at retirement (hence the name). There is no guaranteed benefit amount at retirement. The employer is responsible for the pension benefits. The employer’s liability ends after their money is contributed. The employer absorbs the risk. The employee absorbs the risk. What should be noted here as well, DB pensions in the public sector are the only pensions that come with a government guarantee. Because not all workplace pension plans are created equal, there is a case to be made to “pensionize” your nest egg at some point. What is meant by “pensionization” of your nest egg? The premise that you can (and should consider at some point for many reasons beyond lack of a workplace pension plan), take a portion of your retirement savings/retirement nest egg and turn that into guaranteed income for life – via an annuity. Do you think you know how long you might live in retirement? Nobody does. While information in Pensionize Your Nest Egg cites the average time some folks might live in their so-called retirement stage is 18 years, nobody can predict that. So, by taking at least some of your assets and converting them to a pension that pays a guaranteed income for the rest of your life – that income can protect you from any uncertainty about life expectancy in retirement and many other risks you probably don’t think about enough (such as inflation, sequence of returns, cognitive decline and general ability, and much more). Can you predict the stock market or the performance of your portfolio? Same answer – nobody can. While many investors might consider the sound, time-testing balance of a balanced fund (with stocks and bonds) to be “good enough” to finance any retirement, the reality is, you have no idea how long your money might last. While some systematic withdrawal plans offer some downside protection (like this one I’m a fan of here: the Variable Percentage Withdrawal (VPW)), unless you have a very healthy nest egg value, it may be difficult to sustain constant withdrawals for necessary income if stock or bond markets don’t cooperate long-term. While the basic laws of arithmetic can easily tell us how long a nest egg will last with fixed withdrawals, we don’t live in a fixed world. This means your portfolio must be able to withstand various financial withdrawals, at various times, during various market cycles – up, down or flat – who knows. You are most vulnerable in retirement when you’re no longer working, you experience some significant, negative sequences of returns, with minimal (if any) capacity to recover your portfolio value from stock market downturns. Inflation – a portfolio wealth killer. The same dollar you start with will buy much less over time. We all understand this I think. Milk, gas, utility bills and more, cost more, over time. So what does this mean for retirees? It means two big things as the authors suggest: retirees must think in real terms and they must invest in real products. What they mean is, for real terms – when you estimate your retirement spending needs make sure you account for inflation. If you need to live on $5,000 per month after taxes, make sure you increase this amount by 2-4% next year, and the year after, and so on. For real products, invest in things where possible that keep up with the cost of living. With some benefits as a Canadian, you’re already very lucky – CPP (Canada Pension Plan) and OAS (Old Age Security) are indexed government benefits. When should you take CPP? Here are some little know facts you need to know about OAS. In other cases, not so much. Stocks for example, are weakly-linked to inflation since while you expect price increases in stocks (i.e., growth over many years of investing), stock market growth is never guaranteed in the short-term. So what about annuities and why use them to create your own pension/to “pensionize”? An annuity is actually an ancient Roman product – I didn’t know that! Life annuities were paid to Roman soldiers in exchange for their military services; wealthy Romans could bequeath an income for life to their heirs. Today, we have translated those ancient times into giving an insurance company a lump sum of money in exchange for monthly income for life. Annuities can be bought with registered funds from individual RRSPs, locked-in RRSPs, defined contribution pension plans, and more. Annuities can also be purchased with “after-tax” (non-registered money). Early 90s, sold the family home, needs income for retirement home – now what to do? So can I purchase an annuity and change my mind? Is an annuity just my money? Yes and no. While annuities are contracts for life, the cash flow you’re entitled to is actually made up of other people’s money. The cash flow you’ll receive is the sum of your money, interest, and other people’s money in terms of their own mortality credits. Essentially when people die, and leave money on the table (so to speak), the remaining participants benefit. Are there various types of annuities – such as joint-life? You bet. Many people consider buying a joint-life annuity, which will pay out income as long as one of the two members of the couple are living – which also offer some guarantee periods. Both of these features reduce mortality credits though (i.e., income then) until advanced ages. Should I consider “pensionizing” the entire nest egg? The authors didn’t state that – in fact – the authors routinely suggested pensionizing some of your nest egg instead of all of it because if you have both pensionized assets AND a healthy investment portfolio, you can actually withdraw more from your portfolio in the early years of your retirement (all things being equal). Meaning, converting just some (say 25% or so) of your retirement nest egg into a stream of lifetime income by “pensionizing it” increases the chance you can spend your wealth at all ages. How to pensionize – step-by-step? Assess your plan – is it sustainable? Consider pensionizing your nest egg – as you need to. Summary – should consider pensionizing your nest egg? In my opinion, yes – since Pensionize Your Nest Egg was an eye-opener for me that presented some major retirement risks for many Canadians without a secure workplace pension plan. In reading this book however, it also enlightened me to to some other benefits of annuities that have nothing to do with a workplace pension, including your plans to leave a legacy; protecting yourself against cognitive decline in your super-senior years, and more. I look forward to having co-author of Pensionize Your Nest Egg, Alexandra Macqueen on the site soon. Stay tuned! 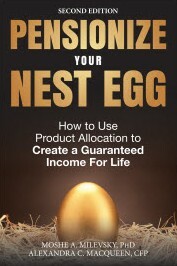 Last but not least – win a copy of Pensionize Your Nest Egg! Enter the draw below and if you win, Alexandra will send you an autographed copy in the coming weeks. Good luck! In the meantime, got questions for Alexandra for her upcoming interview with me? Got questions for me? Always open to input and suggestions. Thanks for being a fan. 53 Responses to "Why you should consider pensionizing your nest egg"
I a one of the many second class Canadians who do not have defined benefit pensions. I have done some reading ( most of them inspired by your own extremely useful recommendations ) and conclude annuities are a MUST for people like me – at least a portion of the RRSP should be used to mimick the security of defined benefit pensions. However, it boggles my mind that whenever I talk to bank advisors they are aggressively negative about annuities – which they don’t seem to understand at all ( I could fill a page with MISINFORMATION received from bank ‘ expert ‘ ) and take a lot of energy to persuade people in retirement or near retirement against this option . I understand every thousand dollars a client will direct towards an annuity is a thousand dollars less in the ‘ portfolio ‘ managed by respective bank expert .But this doesn’t justify providing wrong information or energetically driving bank customer away from what could be at least a solution to consider. Shouldn’t bank employees be subject to a code of conduct forbidding the dissemination of wrong information ? I think annuities have a place and a time for some investors, although not all. This is because this product really “depends” on what you need. Unfortunately I think these products get a bad rap overall – they do have some merit. As for bank employees, I don’t want to paint them all by the same bad brush but I think we all know by now we need to be very mindful of how anyone is compensated for their services and advice – the financial industry included! Technically, unless the advisor is licensed to sell annuities, they should probably avoid discussing the merits and drawbacks of annuities. I think annuities get a “bad rap” in both directions: conventional mutual-fund advisors may avoid them because (as you point out) all the dollars that go to the lifecos for annuity purchases leave the portfolio the advisor would otherwise manage (and receive commissions, fees, or salary to manage); and, on the other hand, the commissions paid on annuities are quite modest, compared to other products a life-licensed advisor might sell — meaning even those licensed to sell annuities may avoid them. Add the fact that much of our information about annuities may be influenced by U.S. media, and that annuities can be quite complex to understand, price, and synthesize into a portfolio — and it’s no wonder that few annuities are sold. However, there is very, very broad consensus amongst financial economists and academics that the “plain vanilla” income annuity is the most efficient way to generate lifelong retirement income. These kinds of annuities are cheap and efficient and, for those who prize guaranteed income with no market risk, can be a very effective way to build a “floor” of guaranteed income that will never go down no matter how long you live. Annuities purchased with non-registered income can also be extremely tax-efficient as they can be very lightly taxed or even free of tax, depending on the age of the purchaser. Great point about advising, including the banks. I know for a fact an annuity has been a blessing for my great aunt. With her dementia, growing by the year, she is very reliant on the income stream set-up by her pre-deceased husband (my great uncle). I recall their policy is joint-survivor (?) but I cannot confirm. It seems to be this is the one product that many couples could/should consider – not to buy blindly – but consider as part of income and estate management. It’s quite baffling as a prospective consumer that the industry makes such an important product, potentially, so complex to understand. You would think the more you can do to simply a product for someone, the better it would sell? “Annuities purchased with non-registered income can also be extremely tax-efficient as they can be very lightly taxed or even free of tax, depending on the age of the purchaser.” That’s a pretty big incentive for someone in their 70s (with a good portion of non-reg. assets) using some of that for a secure income stream. Thank you. I look forward to getting information on this “plain vanilla” income annuity. I have encountered great difficulty in getting annuity information and quotes freely at my location. Hi Mark, I have a question for Alexandra for your up coming meeting. If I am still working till 63, why wouldn’t it be better for me to take CPP at 60 payments and invest it my RRSP or TFSA if rate of return is good?? What would my rate of return on RRSP or TFSA have to be between 60-63 to make the difference of taking CPP at 63? Also can someone please explain PRB Post retirement benefits? I want to win because the future brings a lot of uncertainty with it. Good luck and thanks for being a fan! An annuity? No way, no how. Do the math on several calculators. 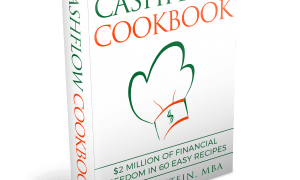 Giving a million dollars in cash to buy a simple life annuity will get you perhaps $50K. Take that million and divide it by 25 years you get $40K per year. But, but, but…… that means it has not earned one real penny in interest or dividends or gone up in value in those 25 years. We won’t even talk about the tax benefits of taking dividends and capital gains instead of income. Annuities just make you feel secure but they are a bad idea. I think they have some merit Mary-Lynn but I can appreciate they do not help all investors, far from it. 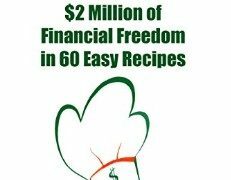 I personally want to learn more for ourselves on these products since my wife and I have no plans to leave an inheritance and it might fit into our plans, albeit very minimal. Hard to say. I have some thinking to do even if/when we reach our $1 M goal outside home equity or workplace pensions = we are very fortunate for the latter. I believe no two individuals have the same story,as we approach the retirement years,many decisions need to be made on incoming income, for those without a defined company pension plan……………… annuities may have a place .For others,it may not be necessary. I agree Bob – hence the reason to do this post, giveaway and learn more. The more you know, the better your decisions in life can be all things being equal. I agree with Mary-lynn. In my (limited) research, those annuities I looked at only garenteed an amount for 10 years. They are obviously protecting/interested in themselves…and not their clients. You’re gonna pay for any financial service. Does not leave me feeling secure. Some are guaranteed for 10 years – which is good – but you do pay for that security. It will be interesting to do my interview with Alexandra – maybe she can explore that point Paul. There are two possible uses of the word “guarantee” in this comment, in respect of annuities. When an annuity is purchased, it is possible to add many different riders and options, including a guarantee that even if the annuitant dies within a specified period (the period covered by the guarantee) — say, 10, 15 or 20 years — the annuity payments will continue to be made, either as a lump sum or as continuing monthly payments to an estate or another beneficiary. This guarantee is separate from the overall guarantee that the annuity will continue to make payments for as long as the annuitant is alive, even if that is a very long time. Annuities are guarantee via Assuris, which provides that payments continue even if the issuing company becomes insolvent. Gotcha. The word guarantee needs context and I think your response is great for clarification. We should tackle that in our article together. I could see the benefits of guarantees for the annuitant but I assume the longer the guarantee – the lower the payment benefits? Every rider, option, and guarantee reduces the monthly payment — because every additional option has a cost. That cost has to be paid somehow, and because it’s paid when the annuity is purchased, as a result it reduces the monthly payout. I think annuities need to be looked at in overall context of a plan. Taken in isolation, they may not make sense. One also has to consider that an annuity “purchased” in a very low interest rate period would have differences to one “purchased” in a moderate or higher interest rate period. An annuity is but one item on a menu and like all menus, not everyone orders everything. Yes! Just like everyone may prefer or benefit from a different diet, or different dietary supplements. If annuity income is Vitamin C, for example, and you already eat a lot of oranges in your everyday diet, you might conclude you have “enough” annuity income and not purchase any more. But someone whose “diet” is deficient in Vitamin C might decide to add a supplement. The choice is very personal! After already having read the book Pensionize Your Nest Egg I believe an annuity could be a serious consideration for us in future years with a portion of our assets. This could replace our fixed income portion. Rather than write them off as a bad idea with just a cursory look I’ll explore them carefully to understand if they fit into our overall plan and retirement needs within the next 5-10 years. Interest rates & age at that time, guarantees, single vs joint etc will affect payouts and our decision. I figure the more I can learn the more likely I’ll make a good choice. Looking forward to hearing more from Alexandra. I want to win because… I read the first book several times. Very, very helpful and informative. Can’t wait for the update! I’m in Mary-Lynn Bastian’s camp – taking a large chunk of money (say $1M) and even conservatively deploying it (think GIC ladder) combined with taking a chunk of capital out regularly will generate the same or more than the equivalent annuity with the benefit of still having the capital available if required. If deployed in a decently yielding dividend portfolio, the capital erosion may be avoided or reduced. That said a convincing argument may sway me 🙂 but for me currently annuities are on the backburner. Always enjoy reading your blog Mark keep up the good work. I think for me/us they are a consideration since we have no plans to leave a legacy and I think converting some dividend income in a non-reg. account, at least some of it, might be tax efficient as well. Will I convert all our non-reg. assets into an annuity? I doubt it but that consideration is at least on the table very long term. Like you, I like my dividend paying stocks. Heck, I own 30+ of them 🙂 So, I too might need convincing and I simply want to make informed decisions. Stay tuned for my Q&A with Alexandra – it should be great. Again, kind words about the site! I want to win because… It will be a good book to read, and its just fun to win. Winning is fun. Good luck! A couple of questions for Alexandra: Is it even possible to purchase an actual inflation indexed income annuity in Canada? Do these products even exist? And would you agree that it makes sense to defer CPP and OAS to age 70 before even considering an annuity purchase? Yes, inflation-indexed annuities CAN be bought in Canada BUT the market is very thin. It is likely that a purchaser would need to seek a special quote via a qualified advisor, versus finding an “off-the-shelf” quote from an annuity pricing site. CPP and OAS are absolutely annuitized income (and inflation-indexed to boot!). If you want to increase the proportion of your retirement income stream that is protected from the “new risks of retirement,” then deferring CPP and OAS will fit the bill. This presumes, however, that you are able and willing to draw any income you might need before age 70 (or the age to which you defer) from other sources. I’ll let Alexandra take your answers Garth and as for your second question, I would personally think that deferring CPP and OAS and then buying an annuity in your late 60s or early 70s could largely make your pensionable income rather bullet-proof. Did you see any of my posts about delaying CPP and/or OAS? There are a few on the site – see my recent Archives page and they are there. As long as your mind is sharp, following Mary-Lynn’s approach makes a lot of sense, but north of 75-80 cognitive decline becomes apparent for many. Locking in your income stream in a manner that is inaccessible for personal errors of judgement and to bar elder financial abuse are justifications for annuities. My father has early stages of dementia (I have POA but he still has his trading account and passwords) so this is relevant to me. I’ve always thought they might also make sense in cases where older, adult beneficiaries of an estate who have demonstrated financial incompetence can be given a stream of income for life but not have access to the capital. Alternatively, trusts can be set up to distribute dividends to that sort of person following Mary-Lynn’s approach (I’m not an estate lawyer and have only done cursory research on this, so please feel free to correct any of my misconceptions!). This is where I think annuities can make great sense – elderly. Not necessary, maybe, depending upon your circumstances in your 60s or even early 70s but cognitive decline will be a reality for most of us. I would wish to avoid financial abuse in my older age or for my wife. I think that just makes sense. Also, to your point, I would not assume any adult without a long demonstrated history of financial competence should be managing anyone’s money, including family money or money of aging parents. That is a recipe for family dysfunction. As a single person i’m concerned with what happens when one of my sisters needs to manage my money if i’m no longer capable as they are not very investment savvy. It seems like the best thing would be to have an annuity to cover basic living expenses. I assume I could get one later, even when i’m 75 or 80. This is where the wills & estate planning side of personal finance comes into play – your will and instructions to your sisters if they have to take care of you could include instructions like this. You should probably discuss it with them while you are able so you know they understand the principles. Totally agree. I think will and estate planning is very important and any investing instructions are vital in that. We have to redo our wills once we move into the city, time to update given we have new property and assets to manage over the last 8 years. I think that could make great sense in your late-70s and 80s – at an age where you really don’t want to worry about money, just ensure you have what you need when you need it. I can’t advise on that for many reasons but I’ve asked Alexandra some similar questions about “when to annuitize” and I think she’ll have some great considerations for readers. If you have a specific question Christina, happy to ask for you or ask away here. I bet she is equally happy to answer honestly. Good points Garth. I’m inclined to agree its a great option for more people than currently use it, and that financial advisors aren’t incented to advocate it. I suspect you’re right Garth but a good fee-only planner should provide exactly what you write about as a viable option. Great synopsis Mark. Thanks for this! I’ll definitely be looking into this although it’s probably too early for us to even consider and would just be too costly. I need to get back to you on that email you sent me since the time we decided to quit work and live a FIRE life. It’s been a tremendous learning curve but we are rolling with the punches! Looks like I need to also read the posts on this. A lot of smart people follow you. FIRE life sounds great to me 🙂 I hope we can start working part-time in 4-5 years, ideally, but if that takes closer to 10 years so be it. We are 45 now so part-time work at age 55 would still be good! We are going to annuitize DW money in the SSP (Saskatchewan Pension Plan). We were going to transfer it to one of her RRSP accounts but we have to use a PRIF to access the money. After attempting to open an account with our broker we gave up and will take an annuity instead, This will be only 15% of her holdings giving us lots of flexibility with the rest of the portfolio. 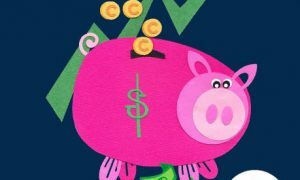 The annuity pays out about 40% more than the PRIF payment so we will bank the difference over the years to allow us a sort of inflation protection in the future. it is also one account less to manage. Seems very smart. I will consider annuitizing a small part of our non-reg. assets in our 70s. I will do this once some if not all our RRSP/RRIF and LIRA/LIF assets are fully depleted. This way – my wife has a fixed income war chest with CPP + OAS + small annuity + my survivorship DB pension. She won’t have to worry about asset allocation or rebalancing after I’m gone. Morbid thought but probably good estate planning, etc. on my part? Like you, I see an annuity as being “one less account to manage”. In your/our senior years I think the last thing folks want to worry about is their financial stress. “We will bank the difference over the years to allow us a sort of inflation protection in the future.” Well thought out! After listening to one of Todd Tressider’s podcasts with Wade Pfau where they mentioned SPIAs, I’ve been searching for more information. I hope to win this book, but I’m going straight to Amazon when I’m done here to put a copy in my cart in case that doesn’t happen. Looking forward to more info on this topic! Great stuff Karen. Good luck! Hi Mark this is the clearest explanation of what an annuity is I have ever read. I am looking forward to hearing more as I am self-employed in my mid 50’s. Are all annuities equal? What age do you consider best for buying? I will have no guaranteed pension other than government CPP & OAS. Thanks for the great blog. I have a question for Alexandra’s upcoming interview with you: Do you know the current (approximate?) monthly payment of a $100,000 joint-life CPI-indexed annuity bought with registered funds by two 80 years old spouses? Having just joined this forum this week, I have been gradually getting caught up on the various topics. A lot of interesting topics and discussions! Annuities are always a hot topic and everyone has their own opinions and reasons for liking them or not based on their own – often unique – personal situation. Never been a fan of Annuities but under the right circumstances they can be of benefit. Annuities limit your control over your investments – a good thing for some, bad for others. But they can provide a simple, predictable cash flow with no further decisions to make once you set it up – a good thing for some, bad for others. It all depends on your circumstances – which may change as you get older. 4) You want to create a “low water” mark of predictable income and can then focus on the “thrill and excitement” (assuming you are interested in this level of excitement) of managing other investments to add income on top of the base for the “frills”. 5) There is no need or desire to leave any remaining investment proceeds upon death to kids, grandkids, relatives, friends, charities, etc. As always, the answer to the Annuity Question is “it depends”. Best to arm yourselves with all the information and knowledge you can get to feel comfortable about whatever decision you make for your investments. This forum and website looks like a good place to start. Personally, I think they are a great product for certain circumstances as you say. Otherwise, it’s great if you can have more control over your assets over time. Annuities can fight longevity risk and cognitive decline – those are huge reasons. Beyond that, I would also agree with your #1) (need income security), and #2) (uncertain investment knowledge). I think there are other reasons to do other things for estate planning but you’re right, annuities can help here too! I look forward to your contributions on the site. I am interested in annuities. However the concern I have is lnflation. If I buy an annuity that pays me $2000.00 per month twenty years from now the $2000.00 will have lost a lot of purchasing power. I know there are inflation protected annuities but they have much lower payouts. Correct Rodney, any “insurance” will reduce your income/will lower your payout. Inflation hits all investments. The question you need to ask yourself is: do you need that “insurance” given you might have other inflation-protected assets? CPP? OAS? Workplace pension? Dividend-income producing assets? Might be worth chatting with a fee-only advisor who can look at your portfolio in totality.